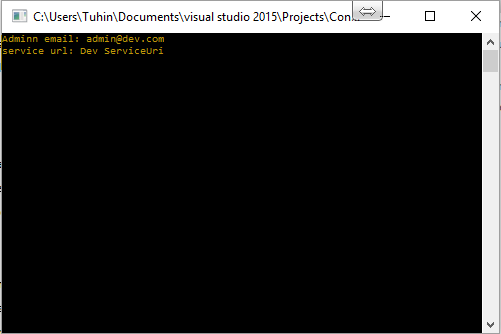 Home » How to transform different config file without any third party extension. 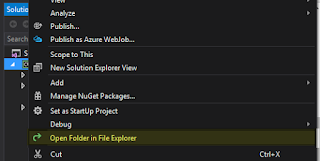 In most real-world scenarios, the configuration (app.config, web.config) file we use for development is different than the one we use for production deployment. Typically we want to change environment settings from the development environment to the production environment. From .Net 4.0 XDT Transformation is come into play to do this type of transformation. 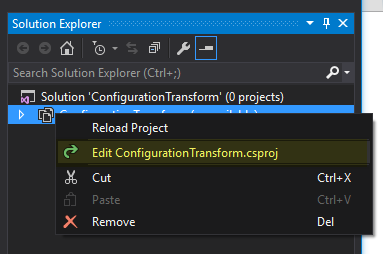 Create a console app 'ConfigurationTransform' from visual studio. 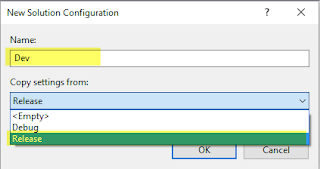 From Configuration manager click 'Active solution configuration' drop down and click new. 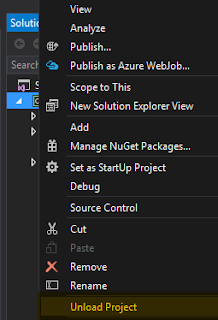 Set the name of the configuration like 'Dev' and select Copy settings from as 'Release' and then click ok.
Now copy the App.config file and paste in the same directory and rename it to App.Dev.config. 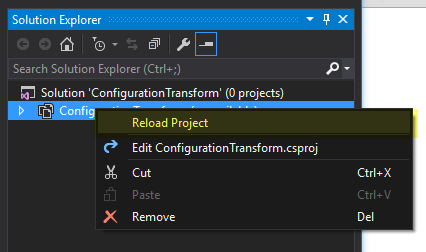 Unload the project by right-clicking on the project and click 'Unload project'. If save change prompt appeared then click yes. 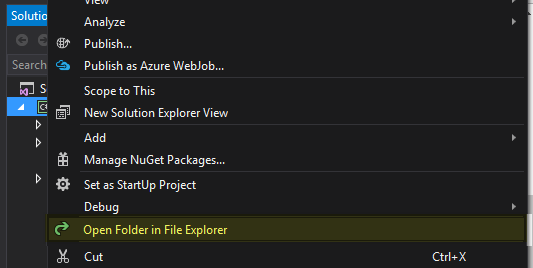 Now add this block of code just before '</Project> tag. We need to run this 'Microsoft.Web.Publishing.Tasks.dll' MSbuild task to do transformation. 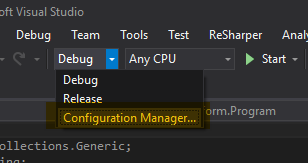 You can add more configuration for different environment like QA, Stg, Prod.